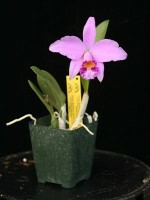 From the crossing of two of the most beautiful hadrolaelias: Laelia jongeana and Laelia pumila. 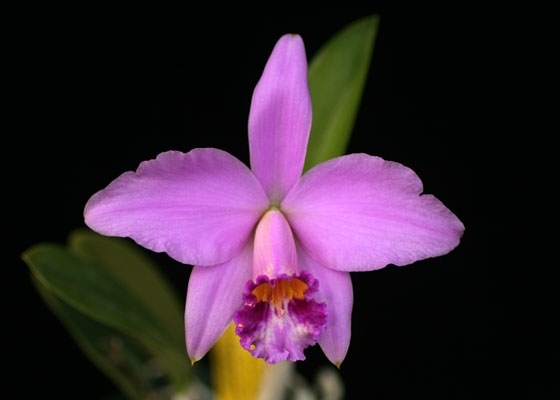 This plant is the only awarded cultivar! A sparkling, pale lavender-pink flower, with a deep yellow throat, and a uniquely marbled lip of purple and cream.Temperature Tolerant. January - February blooming.